So... over the past weekend, Maris and I had a costume party. Guess who I was? That's right! 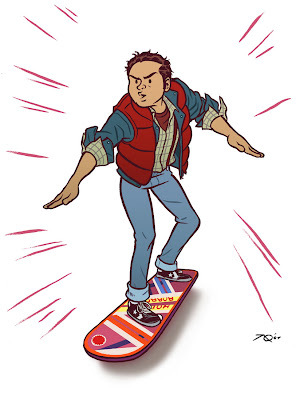 None other than Marty McFly á la the 'Back to the Future' movies. 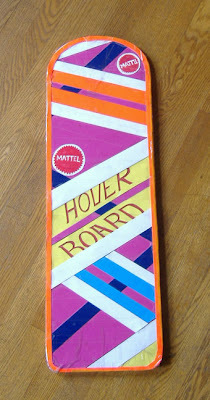 I even made a hoverboard! Check it out in all it's crappyness. 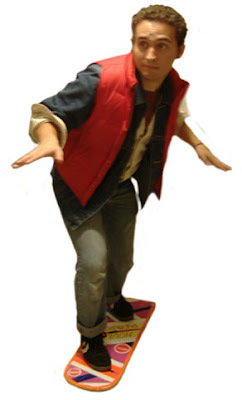 I had this idea for halloween, but never did it, you definately did a better costume than I would have. I just wanted to wear a life preserver. Oh, also, I think I have that exact same vest.